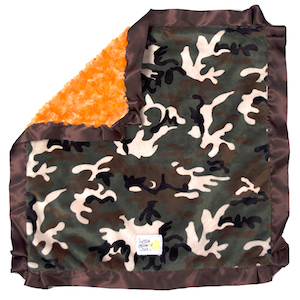 Camo Green camo print minky velour front with a orange rose cuddle back. Single satin chocolate brown satin edge. A Little Loop attached at the bottom.